Did somebody say, "Porgs" + "Valentine's Day?" 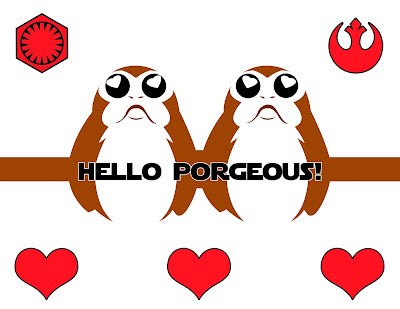 Whether or not you're thrilled with Star Wars VIII - The Last Jedi, most of us have to admit the Porgs were too cute. However, if you don't think so, you can just use page 1 of the card and fill it with something other than porgs!!! But if you love the adorable porgs, this year for Valentine's Day, we have an option of two Star Wars themed Porg Valentine's you can make. One says "You're Un-PORG-ettable" inside, while the other exclaims, "Hello PORGeous!" After printing in landscape orientation, fold in half. To make the cards print page #1 and then choose your option of page #2 or page #3 to make the inside pop-ups. 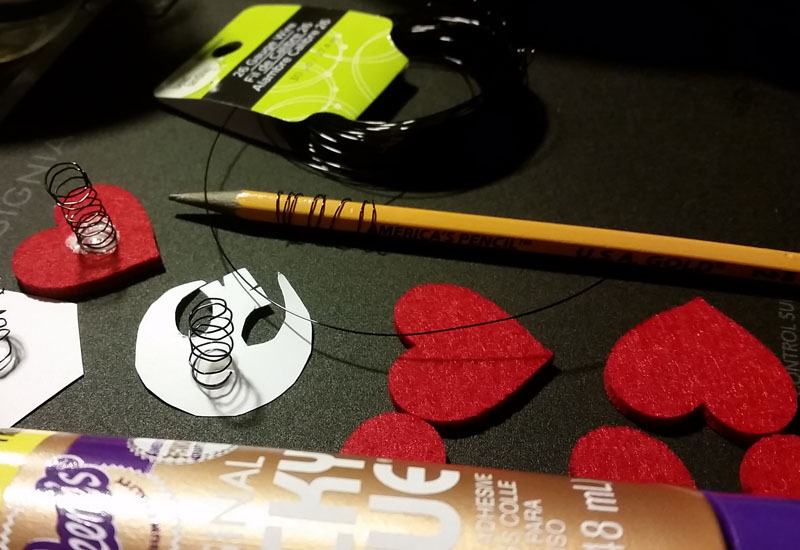 You can use cardstock or paper. 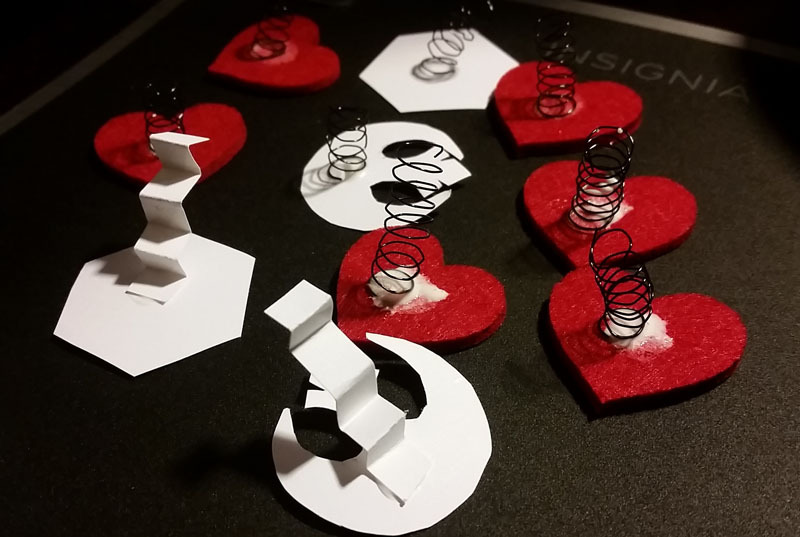 For the small pop-ups, you choose to use paper/cardstock bent into an accordion shape and glued to both the heart/symbols and then the other side glued to the card (see examples). 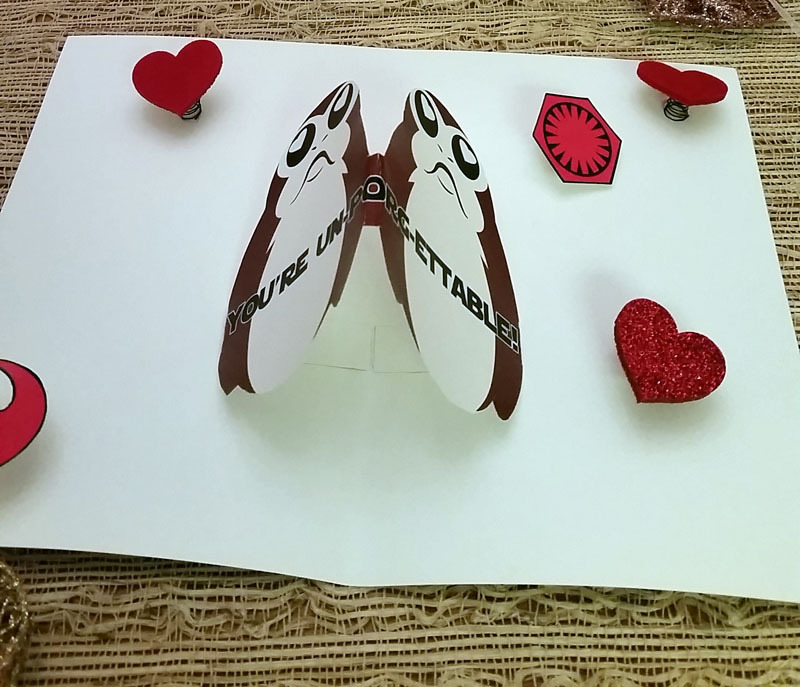 For the porgs (leave them connected when you cut them out), simply glue their tabs onto the inside of the card, as shown. 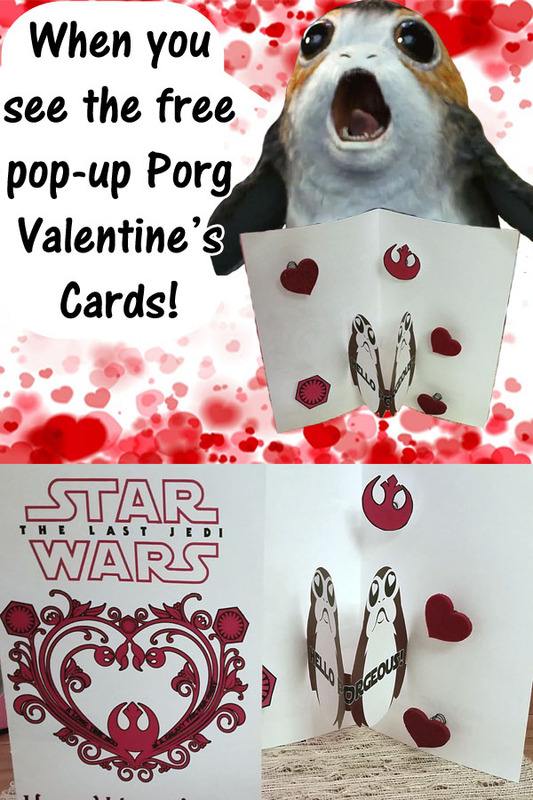 Cut out and glue tabs to make the Porgs pop-up! 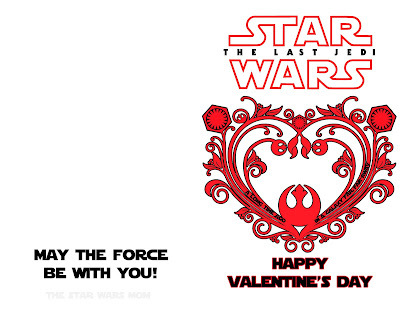 And you will have the most adorable Valentine's Day card to give to your best friend, somebody special, or your entire classroom. 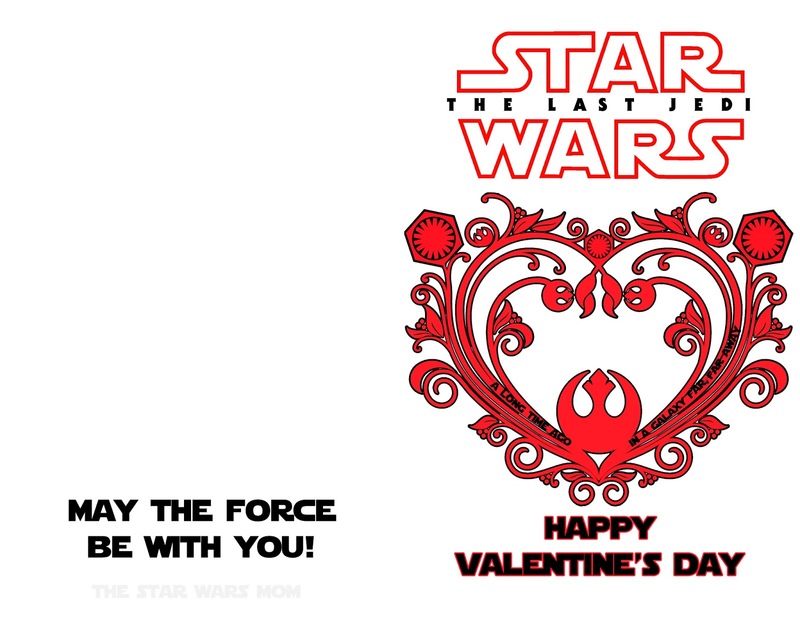 Did you enjoy this free printable? If you enjoyed this, please share this page with others through your social media. Thank you!